Long gone are the days when roller lagging took a small crew and several hours to turn out a handful of newly coated rollers. The old method required multiple steps to complete and was very hot, laborious and dangerous. Not to mention time consuming. Today it is a different ball game with ESI's new rapid cure hybrid polyurethane/polyurea technology. 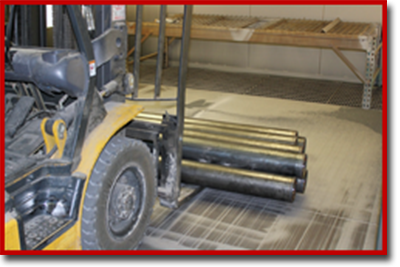 Our product, RibbonFlo, has sped up the roller lagging process by more than 200% in a single day from what it was a dozen years ago. 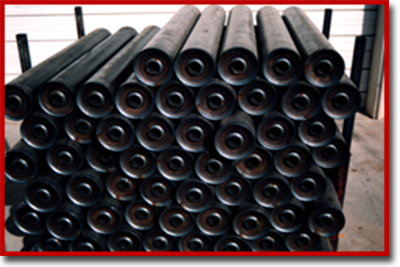 There is no comparison to the overall quality, durability and cosmetic appeal of today's unique application process of the cold applied hybrid polyurethane coating. and RibbonFlo elastomer permanently bond to the roller core. The product is named RibbonFlo because of the way it flows around the core. This hybrid polyurethane has a fast gel time of less than 6 seconds and can be applied in various layers to build up the specified thickness or in many instances, one single pass is adequate. 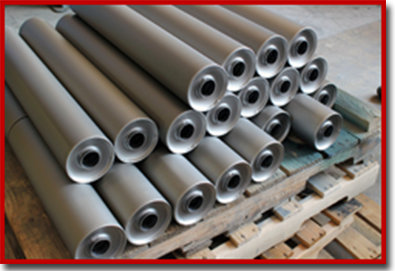 When the roller lagging process is complete, the end result is a flawless, mirror like coating on the roller can or core. 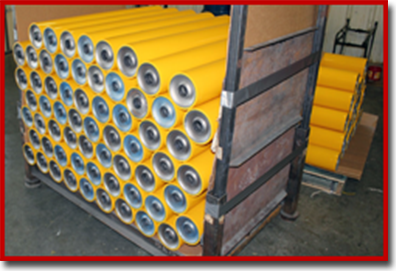 The material cures so quickly the rollers can be stacked and bound to pallets and made ready to transport in just a few minutes.